FreeFixer by Kephyr.com runs like HijackThis but with neat feature and option. The program will scan the critical areas in Windows where most spyware and malware will install itself. Learn more about FreeFixer before trying. FreeFixer will run in Windows 2000, XP, Windows Server 2003, Vista, Windows Server 2008 and Windows 7RC1. 64-bit edition of Windows is not supported. The installer’s file size is less than 800KB only and will use 1.6MB of hard-disk space after installation. No reboot is required to start using the program and there is no start-up item to disable or configure. With FreeFixer, you will be able to scan the system’s Hosts File, AppInit_DLLs, Browser Helper Objects, Internet Explorer toolbars, Autostart shortcuts, Registry startups, Running Processes, Application modules, Services, Drivers, Firefox Extensions and Recently created/modified files. Any items it will list as “green" means safe. If you’ve tried HijackThis, any entry can be easily selected for fixing and that is a dangerous move (if no assistance) but not with FreeFixer. No one can delete the safe entries after a scan which is a smart move by FreeFixer author! The setting of FreeFixer is show MD5 and SHA256 checksums of the scanned items. An option to save the scan log is available. What is neat with the scan log of FreeFixer is there’s no long log to view. All questionable items are log and the green items are not. During a scan using FreeFixer (which will not take long), it will use 20MB or more. After a scan, the program will display in the same window of FreeFixer the list of items that you might want to investigate. Anything that is green is safe and an item that is not highlighted is something to check. To test, I executed a Trojan (Trojan Fake Smoke) that will install a rogue malware scanner – TRE Antivirus or TRE AV. FreeFixer is correct to not identify the running startup item, processes and recent modified files by TRE AV and the Trojan. There is option to view the online encyclopedia and hopefully, many people will use FreeFixer to contribute whether the file, processes and other settings in Windows is safe or not. Using FreeFixer to delete the items added by rogue TRE Antivirus was successful. 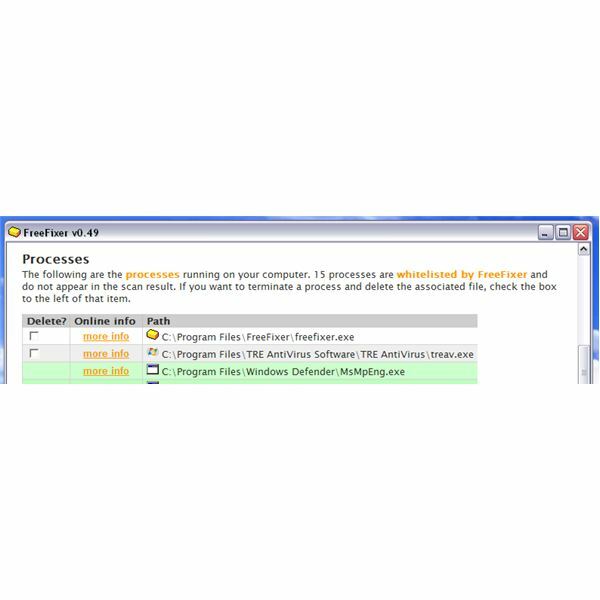 A scan using another malware scanner and FreeFixer shows the system is clean again. Free but use with care on non-highlighted items after a scan. 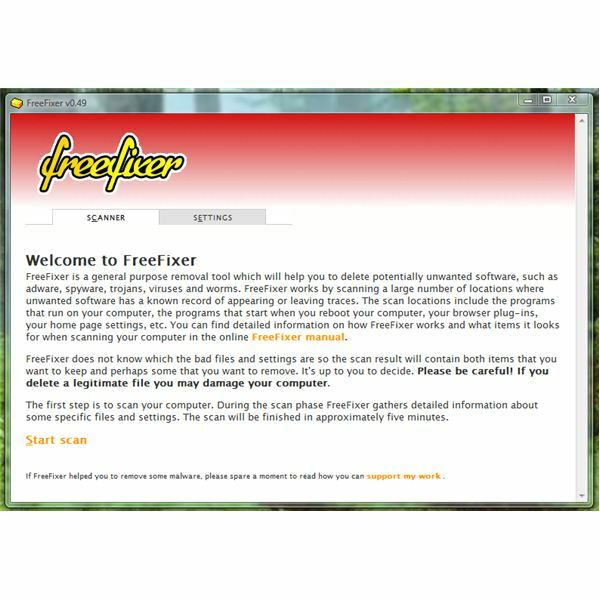 FreeFixer is a useful and handy tool to manually remove nasty malware and spyware infection. Critical and important system files of Windows are in safe hands using FreeFixer. Recommended if you need a tool that works like HijackThis!